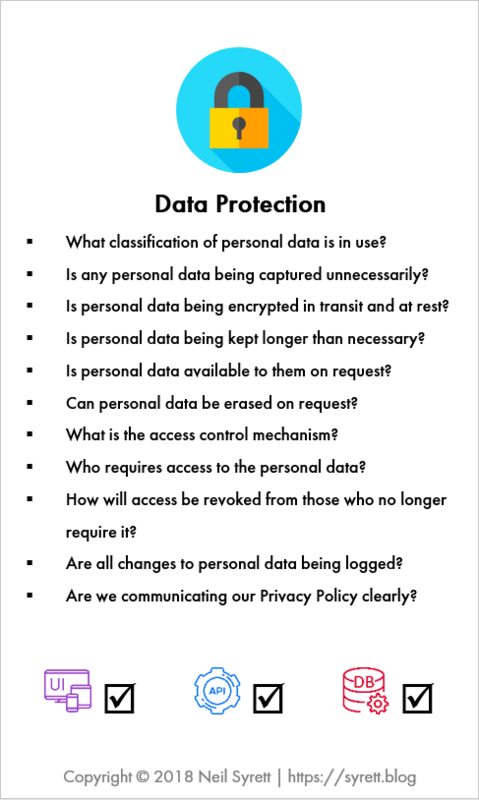 In order to achieve these, we must first understand what is meant by Personal Data and Special Category Data. Secondly, we must understand the key data protection requirements that the GDPR requires Data Controllers to implement. For clarity, as defined by article 4(7) a data controller is an organisation that determines the purposes and means of the processing of personal data. The data controller has overall control of the processing activity. A data processor, as defined by article 4(8), is an organisation that performs data processing under the instruction of a data controller. But what actually is “personal data”? Personal data does not simply refer to data that can be used to identify a specific individual, such as a person’s name or email address. It also includes any data that relates to that identifiable individual. The reason being that even non-identifying data can be used collectively to identify an individual. 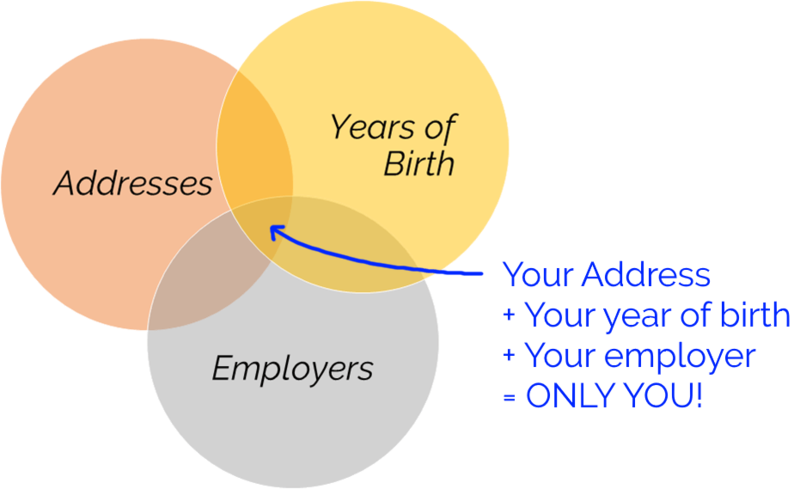 For example, your address, year of birth and employer’s name may not individually identify you. However, if all three pieces of data were combined then they could be used to identify you. The GDPR also goes one step further by distinguishing Special Category Data. This is information such as sexual preference, ethnic origin and political preference. This information may not be useful in identifying an individual but is very sensitive in nature. The GDPR, therefore, requires that this information is treated with the utmost care. Consent – Consent to process personal data must be obtained from an individual when there is no other lawful basis to do so. Other lawful reasons to process data include contractual, legal obligation, vital interest, legitimate interest and public interest. Data Processors – The rules outlined above apply both to data controllers and data processors. Data processors are third-parties that process personal data on behalf of a data controller. 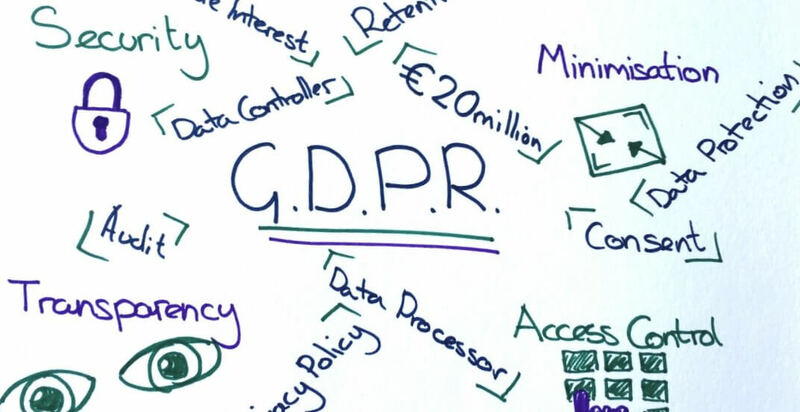 Therefore, if an organisation is processing data on your behalf then you are required to have a data processing agreement to set out the obligations of both parties and ensure that the data processor is compliant with the GDPR. Outside the EU – Even if an organisation is based outside of the European Union you may still be subject to the GDPR. If an organisation has any economic activity within the EU, then the law still applies. For example, if a US based company but take orders from customers inside the EU, then the GDPR applies to the personal data that is held on those European customers. Non-customers – When thinking about personal data, in-terms of GDPR, it can be easy to focus on customers and end-users. However, the rules apply to any individuals whose data your are processing. This can include staff, recruitment candidates, contractors and others. 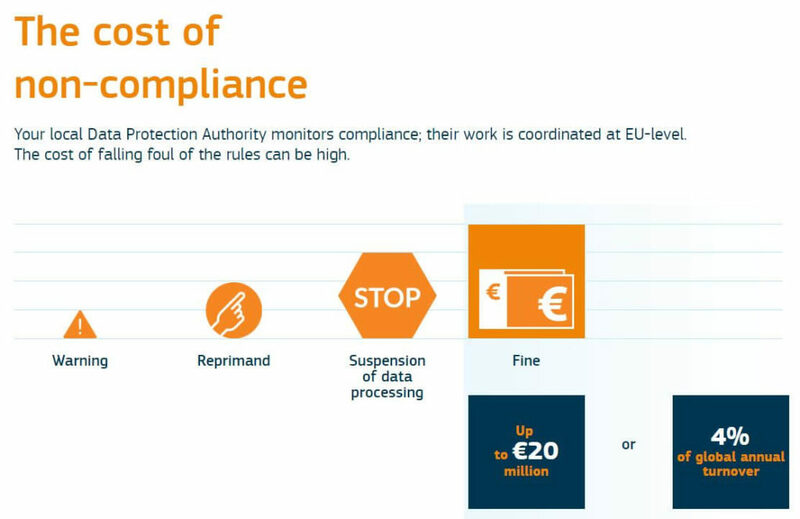 Test data – The GDPR applies equally to production environments as it does to test rigs. This means that if you require to use an individual’s real personal data then all of the data protection requirements need to be applied. This would mean securing the data, controlling access to it, being transparent with the individual about how you are using their data, erasing the data on the individual’s request and so forth. If this is not practical, then it may be simpler to avoid using any personal data for testing purposes. This will means that data refreshes from production would need to be sanitised, and tests would have to rely on fictitious data instead. In summary, the GDPR is here to stay. As software testers, it is vital that we have a good handle on the main concepts and remain vigilant whenever we are working with personal data. One way to do this to extend or embellish our existing processes with additional data protection in mind. This may include adding a data protection section to test plan templates, adding new requirements to master lists of non-functional requirements, or including GDPR conditions to the definition of done. What’s more, for anyone using the Refinement Playing Cards that I introduced in a previous blog post: Do you want to play a game?, I have now published a new Data Protection card. Go ahead, add it to your deck. Many thanks to Aoife McGrath and Juran Irving for their excellent feedback and legal support when writing this article.